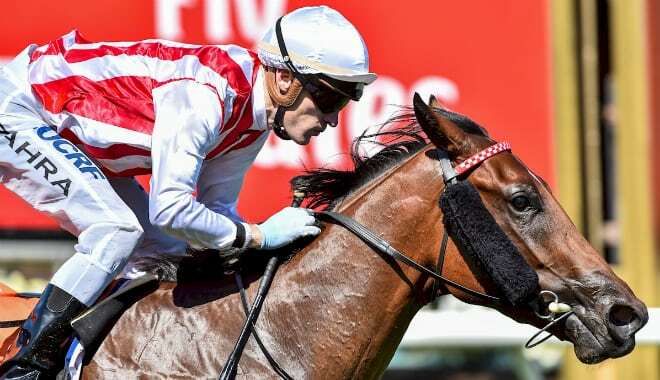 Form student, RIC CHAPMAN, details the hopes of every runner in the Group 1 William Reid Stakes at Moonee Valley on Friday night, with horse racing tips for the first four. Read on to see how he maps and assesses the race. Good luck, punters! Grand old campaigner this grade and goes particularly well this trip. Might have to ease out of speed battle early because of the tough draw. Probably sits about 4th early and will make a charge nearing the bend but these days one or two of these others are just a length too slick. Gr 1 winner who likes to get back and run home hard. Two starts since transferring stables, however, have been pretty ordinary. Failed to place first up in a Gr 2 behind Nature Strip, then last start was run off his feet all the way when near last in the Gr 1 Newmarket. This is easier and loves this track but needs to lift. Gallant sprinter who, after a series of placings in Group races, stepped up to Gr 1 level in the Newmarket and ran his heart out finishing a close up 10th to Sunlight. Was beaten just over 4 lengths and meets her on same weight difference. Place at best. Is going to upset a few apple carts here because he is lightning fast early. Will go close to leading these and a few of these absolutely need the front to show their best. He’s likely to weaken out of it at WFA level but will cause damage early. Looked the likely winner but has been scratched. Star galloper but scratched here. Is going to take an enormous amount of holding out. Loves this track and deserves a Gr 1 win. Will get back and being 3rd up she is ready to flash home late. Ran astonishing sectionals when 2nd in Sydney under a big weight last start. Have in your numbers. Handy enough mare who also gets back and runs home hard. Is up in grade though and was unplaced only other time at this track. Not keen. Star galloper on his day. Loves this trip winning 3 times from 5 attempts including the Gr 1 Blue Diamond as a 2YO. Hasn’t been able to best Sunlight in 3 attempts against her and not likely again. But saying that, is very fast and more than handy this grade. Will be in this for some time. What a wonder filly. Has already won twice at Gr 1 level as a 3YO and her gutsy win in fast time in the Gr 1 Newmarket last start just underscored how quick and tough she is. Likes to lead but will have to work to get across from the wide gate here. Only unplaced run in her career was at this track in Gr 1 level…but was held up behind tiring horses that day. Is at the peak of her powers and is going to take beating. Very reliable filly who excels at this track winning 3 x over 1200m. Is up in grade but deserves a crack at it at least. Gets back and runs home hard and could sneak a place at big odds.